You are here: Home / Kawai Digital Pianos / Kawai ES110 vs Yamaha P-125: Which is Best for Me? Both the Kawai ES110 and Yamaha P-125 are quality digital piano keyboards. These keyboards come with features that make it easy for beginners to learn how to play the piano. And both are worthy of a purchase. But which one is best for your needs? And how best can you determine which one is the better match? 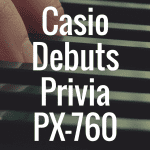 Well, in this article, I will give you an in-depth look at both of these digital pianos so that you can decide which one is right for you. And to better help you, be sure to check out the interactive guide below, which allows you to directly compare the Kawai ES110 to the Yamaha P-125 (as well as other popular digital pianos on the market). What Makes the Kawai ES110 Special? The Kawai ES110 is an 88-key digital piano and retails for roughly $729. This particular Kawai digital piano is perfect for those who plan to take their piano skills to the stage (or those who have at least toyed with the idea). Weighing in at only 26.5 pounds, the Kawai ES110 is extremely portable and can be transported from gig to gig with ease. The Kawai ES110’s keyboard was designed with the brand’s Responsive Hammer Compact Action. Kawai asserts that this hammer action keyboard accurately recreates the feeling of the keys on an acoustic grand piano. The hammers in an acoustic piano are heavier in the piano’s lower end and lighter in its high end; the Kawai ES110 recreates this gradation by also using heavier hammers in the low end and lighter hammers in the high end. By designing the keyboard in this way, Kawai closely imitates the feeling of playing on an acoustic piano. The ES110’s hammer action keyboard also lends itself perfectly to dynamic playing; it provides the stability necessary for moving fortissimo passages and the delicate control necessary for emotional pianissimo passages. 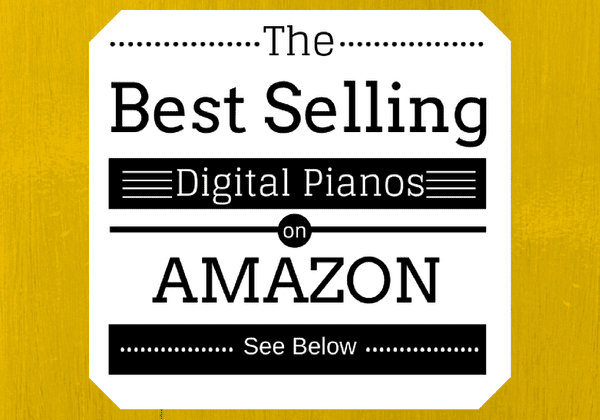 Below, please take a moment to view some of the best selling digital pianos on sale at Amazon, and see how well they compare the the two pianos we discuss throughout this entire article. This digital piano comes with 19 onboard sounds, including the sounds of Kawai concert grand pianos, electric pianos, organs, vibraphones, and more. Although 19 sounds does not seem all that impressive, it is important to consider the quality of these sounds. These sounds were more carefully and meticulously crafted than the sounds on a extremely cheap keyboard that contains hundreds and hundreds of sounds. Kawai’s Harmonic Imaging technology is one example of the detail that went into creating the sounds that are contained within the ES110. This technology was used to record the record and reproduce the sound of all 88 keys on a Kawai grand piano in order to bring the sound to owners of the ES110. The meticulous sampling of this grand piano makes it possible for players of this digital piano to play extremely quietly, extremely loudly, or everything in between. The Kawai ES110 has 192-note polyphony, which is adequate for beginner, intermediate, and most advanced players. Of course, there are digital pianos out there that have 256-note polyphony, and some even have infinite polyphony like acoustic pianos do. However, 192-note polyphony is adequate enough to support the playing of advanced chords, glissandos, and other trappings of advanced piano playing. This digital piano also makes it easy for players to advance their piano-playing skills. The Kawai ES110’s lesson feature allows people to practice along with beginner-friendly etudes; also, players can play along with songs and lessons from the wildly popular Alfred Basic Piano course. The Kawai ES110 can be played in dual and split mode, as well as in full keyboard mode. Dual mode splits the keyboard into two identical halves, so that pianists can play along with their piano teacher, parent, or friend. Split mode allows players to split the ES110’s keyboard between two sounds; for example, a musician can use a concert grand piano sound in the upper register and accompany the piano with a string sound in the lower register. The Kawai ES110 has three reverb settings: room, small hall, and concert hall. These three reverb settings allow players to toy with their digital piano’s sound output. That is, players can make it sound like they’re playing in a concert hall when they’re playing in their bedroom. This digital piano comes with an included F-10H damper pedal, which allows players to recreate the sound of playing an acoustic piano while pressing the damper pedal with their foot. This keyboard has Bluetooth and MIDI ports, which makes it easy to connect it to other instruments, recording devices, smart devices, and computers. 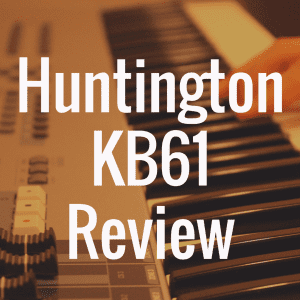 Some players have reported issues with the keyboards of their Kawai ES110s, however. Players have noticed that the keys feel too springy at times, and that there is a key noise issue that is especially noticeable when playing rapidly. Read what other musicians are saying about the Kawai ES110 here. You can also check out our Kawai ES110 review for more in-depth information. What Does the Yamaha P-125 Offer? The Yamaha P-125 is priced at $999, so this particular digital piano is slightly more expensive than the Kawai ES110. The “P” in P-125 stands for portable. The Yamaha P-125 weighs 26 pounds, so it can be transported to and from gigs as easily as the 26.5 pound Kawai ES110. Like the Kawai ES110, the Yamaha P-125 is an 88-key digital piano. The Yamaha P-125’s keyboard was built with the brand’s Graded Hammer Standard keybed. 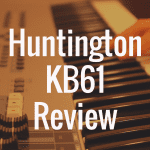 Like Kawai’s Responsive Hammer Compact Action keybed, Yamaha’s Graded Hammer Standard keybed is a graded hammer action keyboard that feels lighter in the keyboard’s high end than it does in the keyboard’s low end. Thus, musicians will be able to somewhat recreate the feeling of playing on an acoustic piano whether they go with the Kawai ES110 or the Yamaha P-125. The black keys on the Yamaha P-125 are slightly textured, which makes it easier for players to keep their fingers from slipping off. 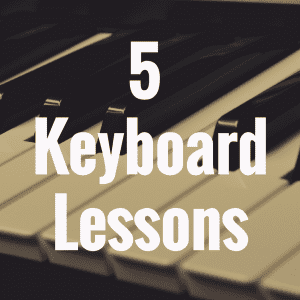 Unfortunately, the white keys are not textured, so some players–particularly those with sweaty fingers–may experience finger slippage as they get used to playing on this particular keyboard. The Yamaha P-125 comes with 24 onboard sounds, which is a slight increase over the 19 onboard sounds that the Kawai ES110 has to offer. The standout sound is a recreation of Yamaha’s world-renowned CFIIIS concert grand piano. The onboard sounds on this digital piano were developed with Yamaha’s Pure CF Sound Engine, which adds a layer of realism to the sounds. The Yamaha P-125 has 192-note polyphony, like the Kawai ES110 does. As such, both digital pianos offer enough polyphony to prove satisfactory for beginner, intermediate, and advanced players. The Yamaha P-125 does not come with built-in lessons from the Alfred Basic Piano course, but it is compatible with the Yamaha Smart Pianist app. The Smart Pianist app (which I discussed in quite a bit of depth when I wrote my Yamaha P-125 review) lets musicians control many of their digital piano’s features from their smart device, like an iPad or smart phone. 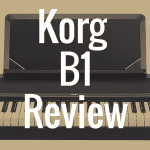 This app can be used to play the P-125 in split or duo mode (the same as the Kawai ES110’s dual mode), transpose the key of a song, and adjust the reverb (by the way, the Yamaha P-125 offers four types of reverb as opposed to the Kawai ES110’s three). The Smart Pianist app also lets keyboardists play along with their favorite songs by following the chords. As you play one of your favorite songs from your music library, the app analyzes the song and displays the chords so that you can play along on your digital piano. Although playing along with chords is not the best or most traditional way to learn, playing along with your favorite songs makes learning how to play the piano fun and will motivate you to practice for more than playing scales and songs that were written solely for learning purposes ever will. Of course, there are websites that post the chords to popular songs, too, but playing along with the Smart Pianist app helps you to get a better feel for when the chord changes occur. Playing along with songs in this fashion can also help aspiring songwriters; by playing along with the app, musicians can see how their favorite songs are constructed and can learn how to put chords together in their own songs. The Smart Pianist app obviously does not come with the Yamaha P-125, but it is free to download from the App Store and the Google Play Store. Learn more about the Smart Pianist app here. The Yamaha P-125 also comes with a sustain pedal. Like the Kawai ES110, this digital piano does not come with all three of the pedals that an acoustic piano typically has. This digital piano can be connected to other instruments and computers via USB. Unlike the Kawai ES110, the Yamaha P-125 does not come with built-in Bluetooth connectivity, but keyboardists can purchase a UD-BT01 Bluetooth wireless MIDI adapter that will allow them to connect to their computer or smart device. 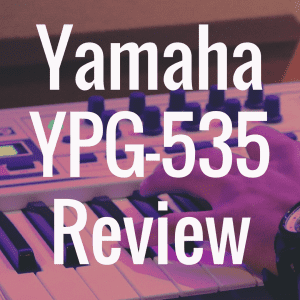 See what other people are saying about the Yamaha P-125 here. Should I Buy the Kawai ES110 or the Yamaha P-125? Both of these digital pianos are great options, so we’re going to compare them a little bit more closely. Coming in at around $700, the Kawai ES110 is slightly more expensive than the $600 or so Yamaha P-125, so it loses this category. This price of the P-125 will definitely appeal to people who aren’t willing to break the bank to get their hands on a digital piano and to those who are buying the instrument for someone else, like a child who wants to try everything but has yet to stick with a hobby. The Kawai ES110 can be connected to instruments and other devices via USB, MIDI, and Bluetooth. The Yamaha P-125, on the other hand, can be connected via USB and via Bluetooth with the purchase of a UD-BT01 Bluetooth wireless MIDI adapter. Still, the Kawai ES110 connects to devices without outside help, so it wins in this category, too. Those who go with the Yamaha P-125 can use the Yamaha Smart Pianist app to learn while playing along with their favorite songs. The app, however, does not come with the P-125, so beginner pianists have to go out of their way to download it. Although downloading an app is extremely quick and easy, the Kawai ES110 makes learning even easier by having a lesson feature that allows people to practice along with beginner-friendly etudes and by including lessons from the Alfred Basic Piano course. The Kawai ES110 comes with 19 onboard sounds, and the Yamaha P-125 comes with 24. For those who enjoy playing around with the sounds that their digital pianos have to offer, the Yamaha P-125 might be more fun than the Kawai ES110. Some owners of the Yamaha P-125 have commented on the sound quality and wish that the piano sounds were a bit more realistic, so it looks like the Kawai’s sounds are higher quality. Of course, because both of these digital pianos are so budget friendly, players should not expect either one of these keyboards to sound exactly like the instruments whose sounds they are recreating. The Kawai ES110 is the better buy, particularly for beginners with absolutely no piano-playing experience. Players can practice along with the built-in lessons and quickly advance their skills. With that said, if price matters to you, don’t hesitate to get the Yamaha P-125. With the P-125, you’re getting a very solid digital piano for only $600 or so, and if you have an iPhone or iPad, you can take advantage of the Smart Pianist app, which can not only help you learn how to play the piano, but help you have fun doing it thanks to their very cool Chord Chart feature.